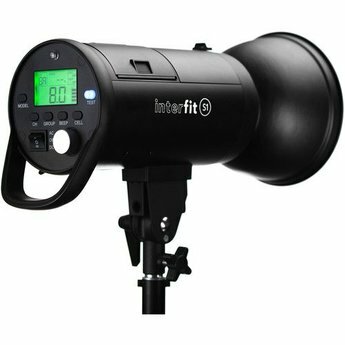 The flash head is powered by an internal, removable 4500mAh lithium-ion battery that fits inside the head's housing. It has a 350 full-power flash capacity and can also run on AC while your battery is charging. 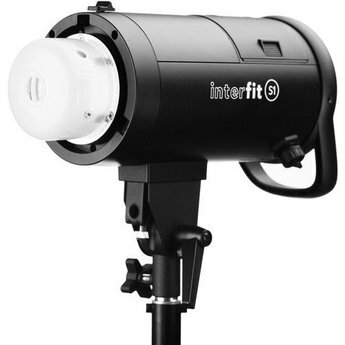 With the introduction of the S1 500Ws HSS TTL Battery-Powered Monolight, Interfit joins the small group of manufacturers producing TTL monolights. 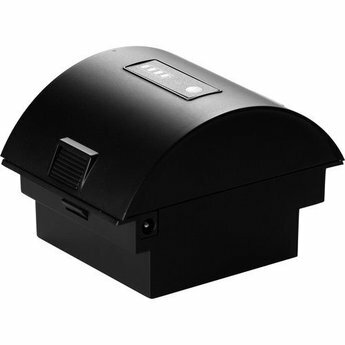 The flash head is powered by an internal, removable 4500mAh lithium-ion battery that fits inside the head's housing. It has a 350 full-power flash capacity and can also run on AC while your battery is charging. It's controllable wirelessly at distances up to 328'. The S1 has 3 shooting modes: Wireless TTL for Canon, Nikon, or Sony; Manual Mode; and High-Speed Sync. 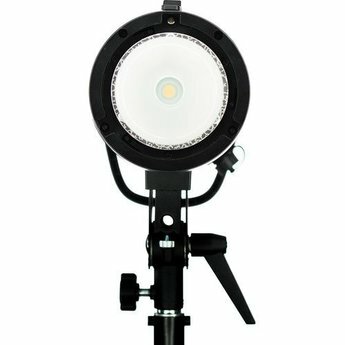 Wireless requires purchase of a Nikon, Canon or Sony dedicated transmitter, but once that's done, you can basically treat these studio strobe units as you would your on-camera flash. In TTL, the camera's flash technology takes stock of the scene and automatically adjusts the power from 1.9 to 500Ws across a 9-stop range. 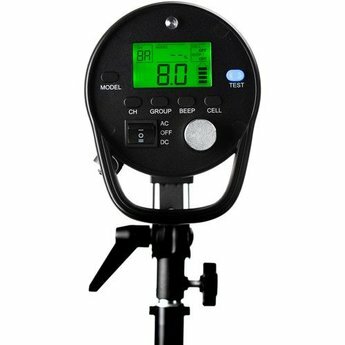 If you want to fine tune your exposure, there's +/- 3 stops exposure compensation adjustable in 1/3 stops. Traditional manual mode is available for those who want complete control. Manual mode is also how you access HSS (High-Speed Sync). This mode uses the flash's top 3 power levels (from 125 to 500Ws) to allow you to access sync speeds as short as 1/8000. HSS presents a new world of exposure possibilities whether you're trying to overpower the sun, control the background's brightness, or use wider apertures. The S1 recycles to full power in 3 seconds and a fraction of that time at reduced power levels. Thanks to the incorporation of IGBT technology, the flash can also reach flash durations as short as 1/11,000 sec for the ultimate in stop-action while still maintaining a steady 5700K color temperature. 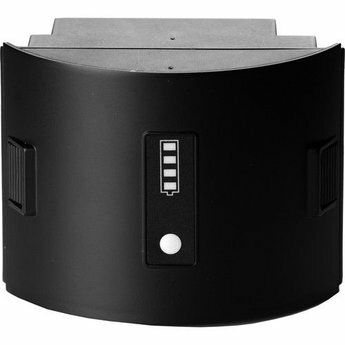 The S1 ships as a complete system including a 350-shot Li-ion battery with a charger that powers it up in about 3 hours. 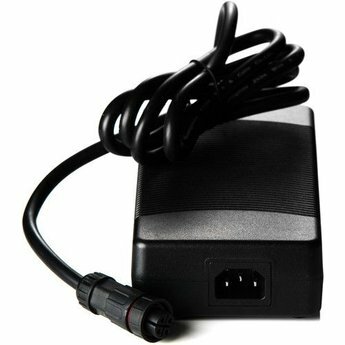 Since the S1 is AC/DC, it can also be plugged into a wall outlet for use regardless of its voltage while the battery is charging. The S1 also includes a 7" Bowens S-Type reflector, an AD adapter and a mini USB cable. In order to ensure maximum compatibility with your system, Interfit offers firmware updates for download on their website. These updates can be easily installed by the user by connecting the monolight to their computer over USB.